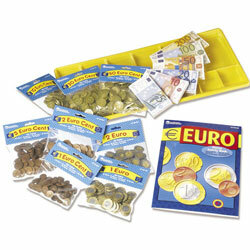 Nothing beats these plastic play Euro coins for role-play work during MFL lessons. 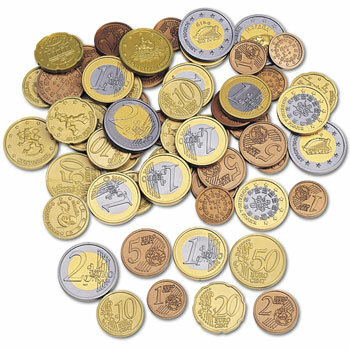 In addition to being life-size, each bag of realistic-looking coins contains a variety of international coin backs that represent Euro coins from different countries. Excellent for bringing role-play alive. Children can't wait to handle the coins! It is perhaps not the most exciting product, but I was very happy to find this item. We needed it for a college business trading simulation, so not even a language course. 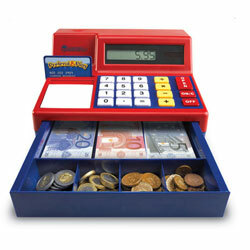 Most sets contain a mix of coins and notes but we only wanted large quantities of coins. The quality of the coins is excellent, service from the shop was excellent and delivery very speedy. These are handy for roleplay and shop situations, the children really enjoyed using them. 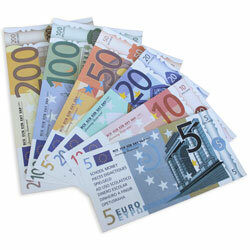 good overall, but too many small coins and not enough 1 and 2 euros. 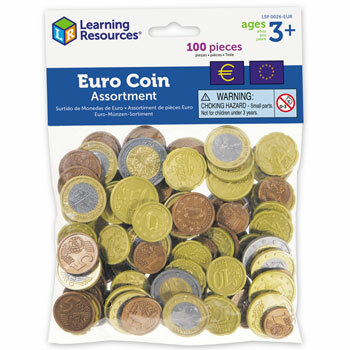 I've been looking for sets of Euro coins for ages to use with my Club Espanol at school. Could have done with some more 1 and 2 Euro coins but overal the quality is really good and the children have fun using them. I have used these with a group of 12 KS2 children. They are good value compared to similar British coins, and there were plenty to go round.